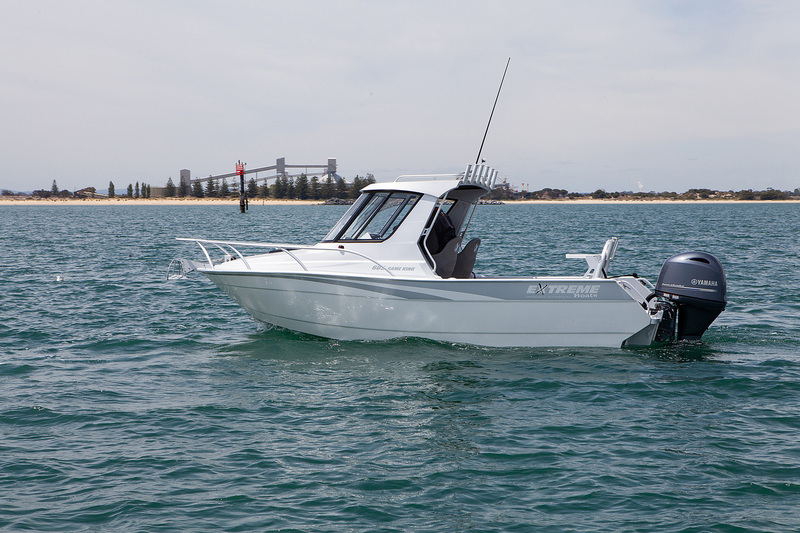 The New Zealand built Extreme Game King 605 is a great looking and beautifully built boat that performs surprisingly well with the Yamaha 130HP. 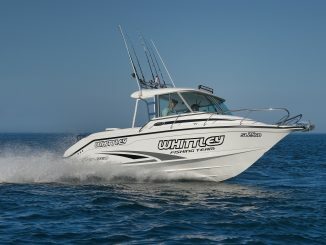 My first visit to Bunbury’s Sportsmarine was impressive for a number of reasons. Firstly, the dealership is as neat and well stocked as any I’ve seen around Australia. 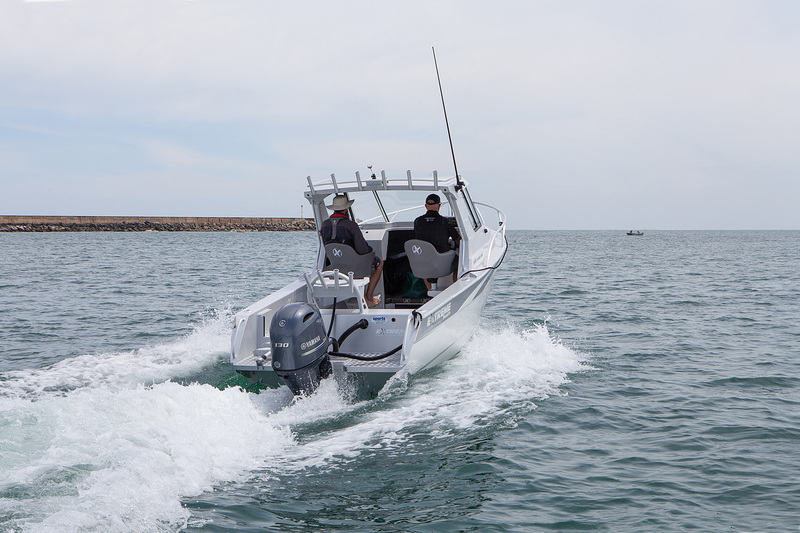 They sell plenty of boat brands – mostly powered by Yamaha outboards. Secondly, the New Zealand built Extreme boat we had for testing was an impressive rig. Dealer principal Greg Collett had it hooked to the back of his Landcruiser and we wasted no time getting down to the ramp to get it wet. 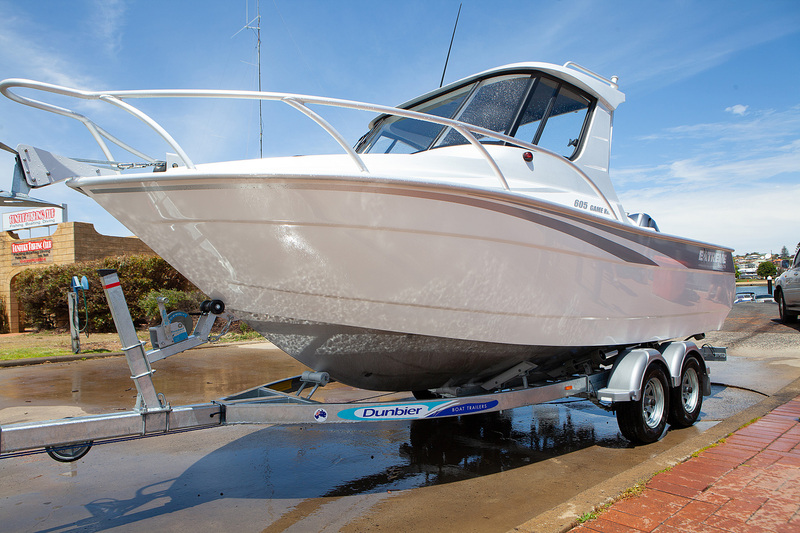 Sportsmarine imports the hulls from across the ditch and matches them locally with Dunbier trailers. They then head to the dealership to get fitted with Yamaha outboards before being water tested and offered for sale. Boarding the boat, you immediately notice the Nyalic finish that coats all of the bare aluminium surfaces. I’ve seen this on McLay boats before and it has proved to be a durable way of coating high workload surfaces while retaining great looks. Indeed, at first glance, you’d think that the surfaces were painted silver. 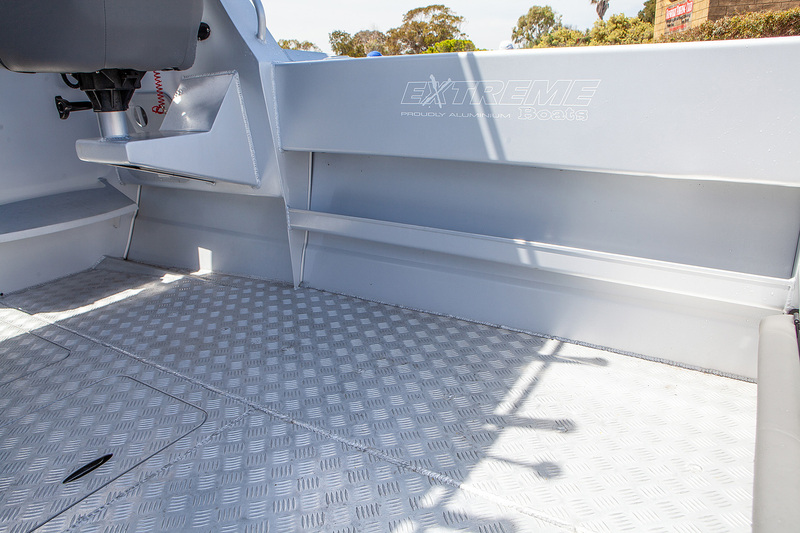 Standard in the Extreme boats are a central flooding hull ballast tank to aid stability at rest and fully welded buoyancy chambers. All visible welding is first class and there’s an efficiency in design and attention to detail in the finishing that’s a class above many boats on the market. It was a little disappointing that the calm seas on offer on the test day didn’t let us fully experience this boat’s rough water abilities. 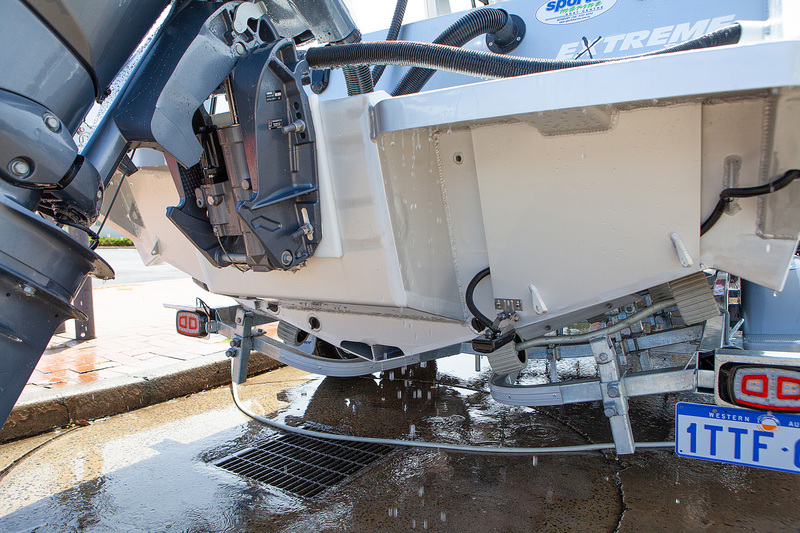 Typically, NZ built boats excel when the water looks like the inside of a washing machine. 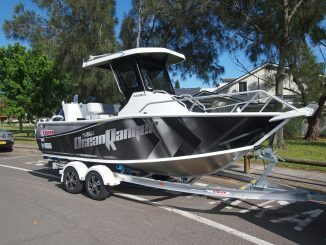 Extreme boats are shipped on a cradle to Fremantle, WA and then loaded onto Australian built Dunbier trailers. 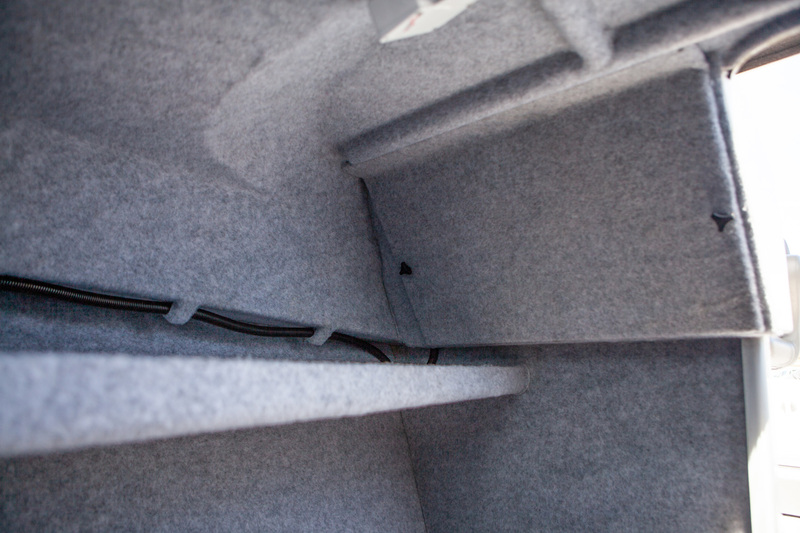 Check out those glove box hinges (and the sneaky carpet inside). All fittings are protected with bushes and coated in duralac to help prevent the problems with saltwater and dissimilar metals. Weather protected side pockets are ample for storage of important gear that shouldn’t really live in the open pockets. 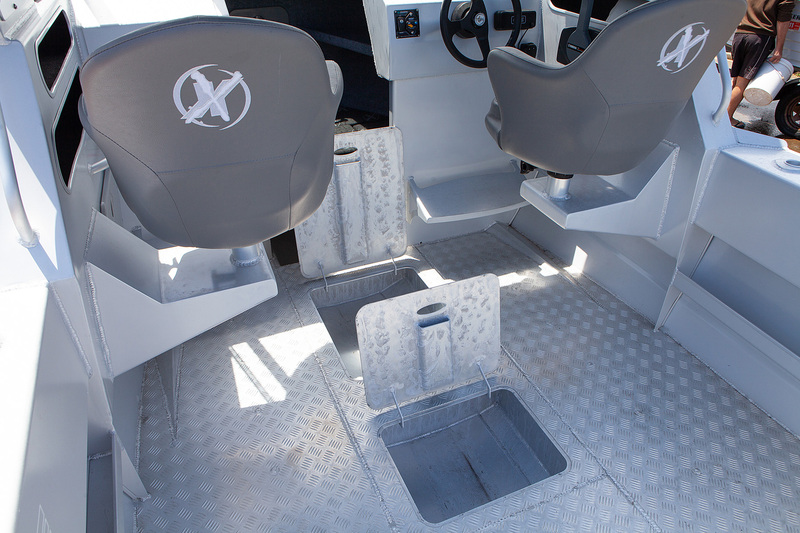 Chequer plate floors with hidden underfloor compartments let you get important things ? 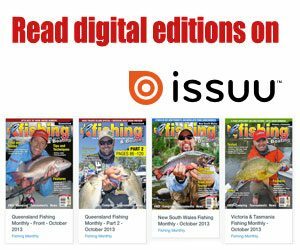 like your catch ? out of the way. That’s what some beautifully welded and finished aluminium looks like. Maintenance with a hose. 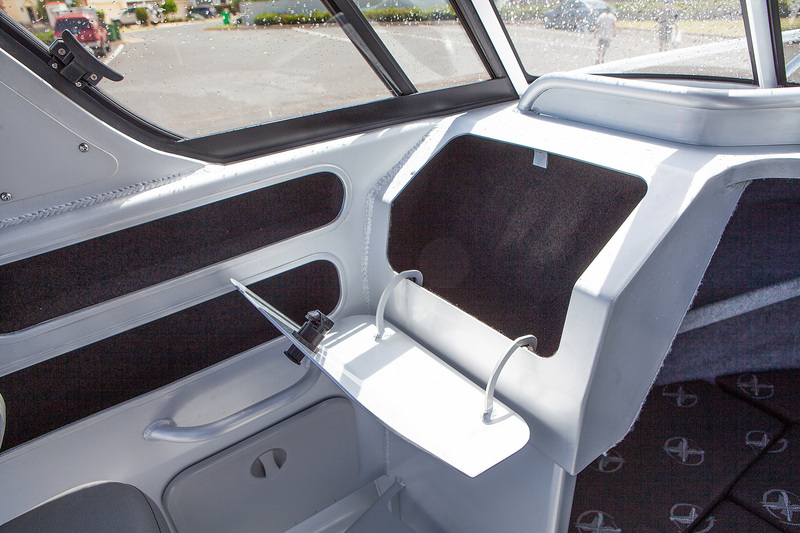 With the transom bench seat folded down, there’s plenty of room up against the transom, letting you stand at the rigging station. We loved these seat bases - complete with footrest they were well built and extended the cockpit space immensely. It looks like silver paint, but it’s bare aluminium coated in a Nyalic finish. 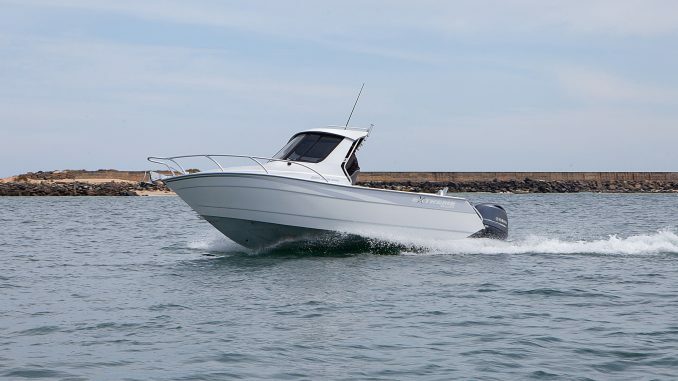 This is very popular in New Zealand built alloy boats and looks great. The Extreme guys have been very restrained in their use of carpet on the console. Most Kiwi builders love it. Top marks for covering the helm wiring seamlessly. It’s still accessible with some knurled bolts. There’s the carpet - covering and insulating the walls of the cabin. 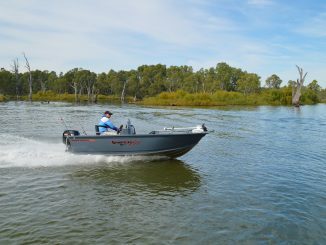 With 21 degrees of transom deadrise, the Game King promises to ride well in conditions much more challenging than we encountered on the test day out of Bunbury. 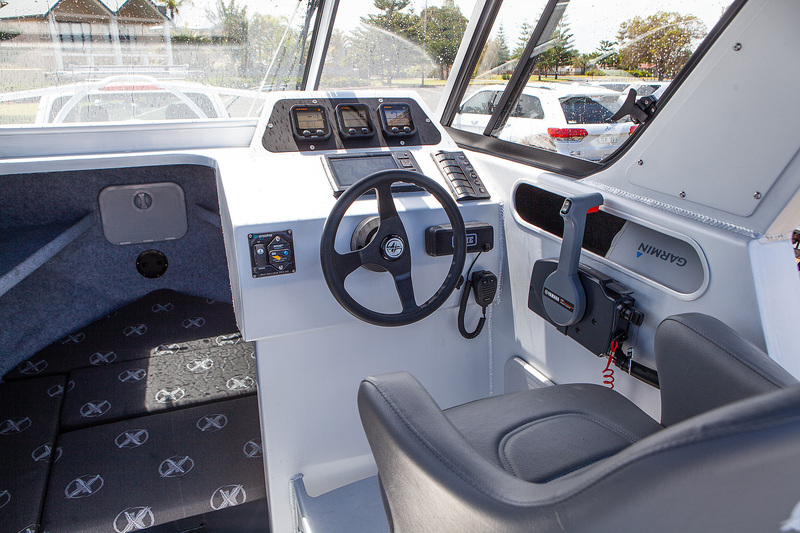 The F130 Yamaha delivered superb economy of up to 2.2km/L at cruising speeds between 4,000 and 4,500rpm. 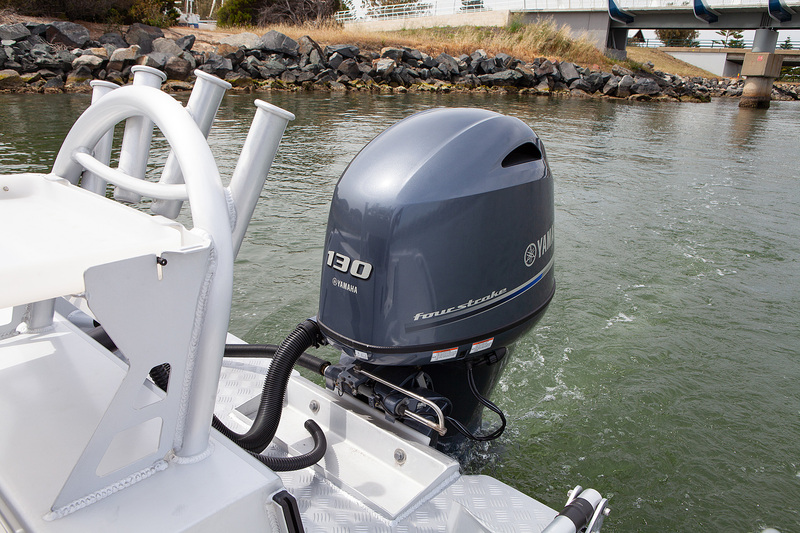 Relatively new, the Yamaha F130 has been a hit with dealers and customers since it was launched. We’d opt for the hydraulic steering upgrade every time. 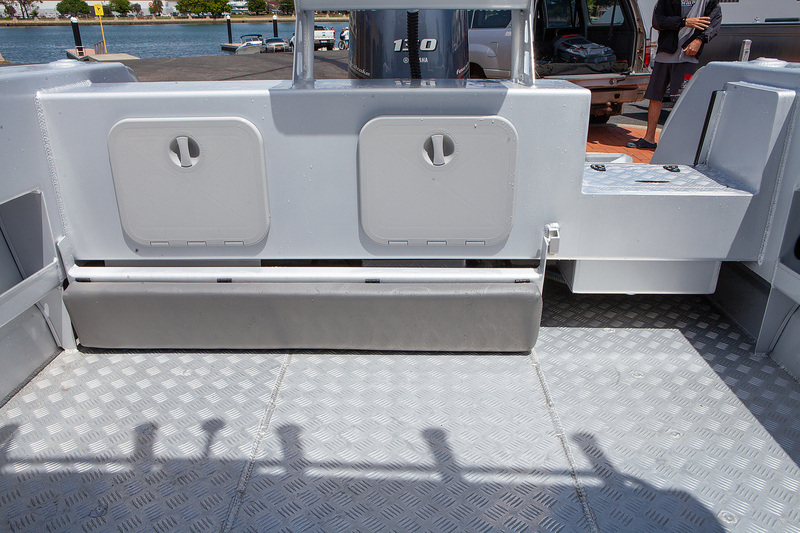 The test boat featured a combination of traditionally painted and raw-aluminium with Nyalic covered surfaces. These look like they’re painted silver, but are far more durable than paint. Also, I thought that a 130 on a 6+ metre hull was a little under-gunned, however, Sportsmarine reported that 80% of these rigs are sold with that power plant instead of the heavier and more expensive F150. Economy was excellent with the 130, delivering around 2.2km/L between 4,000rpm and 4,500rpm. As usual, if you run the boat at wideopen throttle, you’ll get 59km/h at 5,900rpm, but economy will drop to 1.3km/L. Complementing the build quality, the Extreme is beautifully finished. 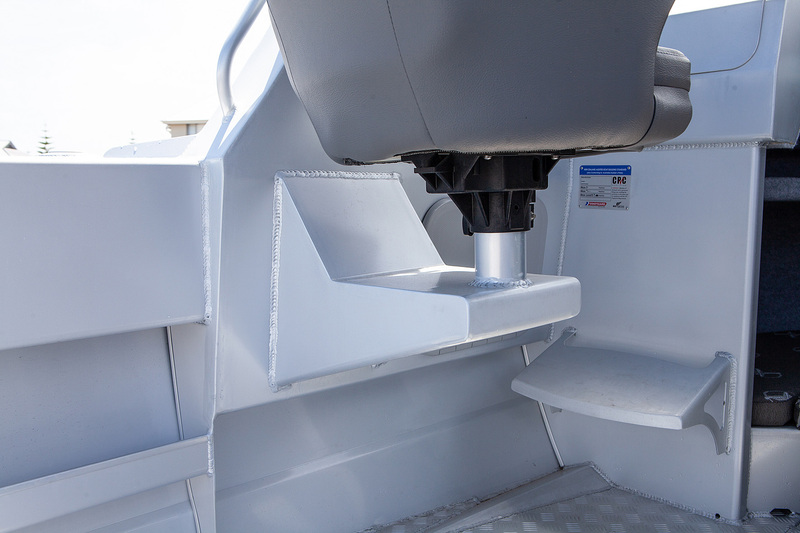 Carpet lining on the cabin walls, practical covering of the dash wiring and custom built hinges are obvious, but the attention to detail with bushes and anti-corrosive coatings doing their best to separate dissimilar metals all adds to the longevity of the hull. 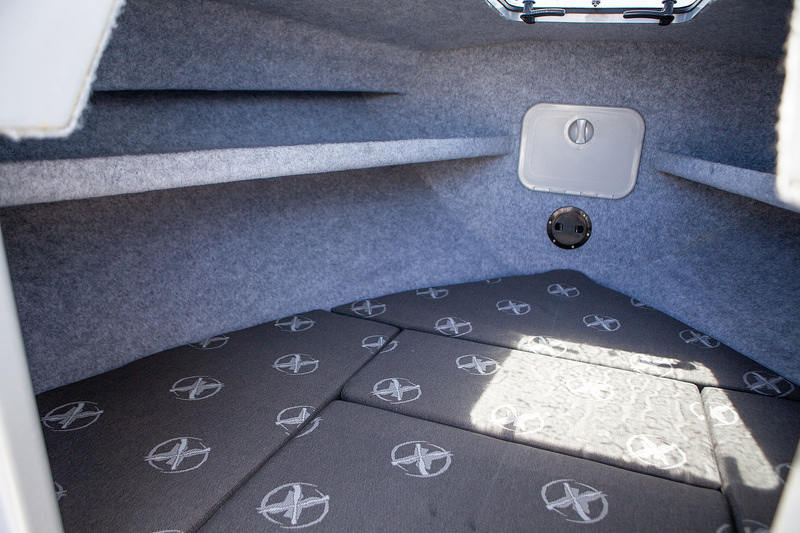 We also liked the novel seat bases, attached to the gunwales rather than the floor. 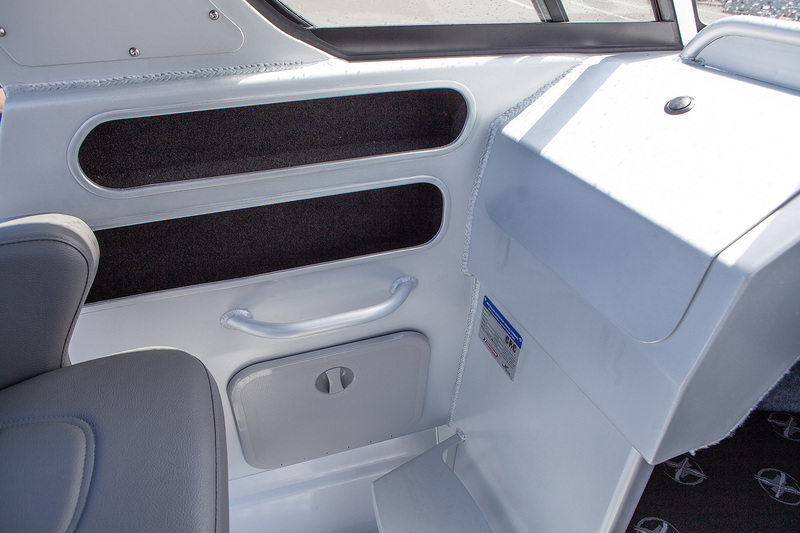 This adds to cockpit space and allows flexibility in where you store your coolers and other large items. It was hard to dislike anything about the Extreme and how it was set up. 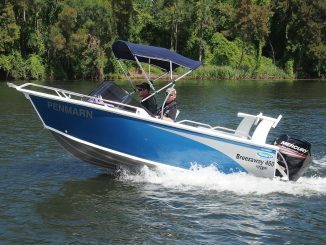 The Sportsmarine crew know their boats and set them up well. 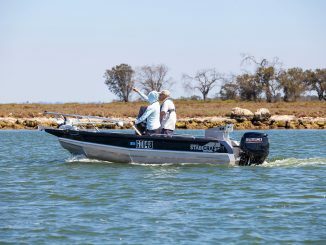 As tested, the test rig weighed in at $81,575 with the 130HP Yamaha. 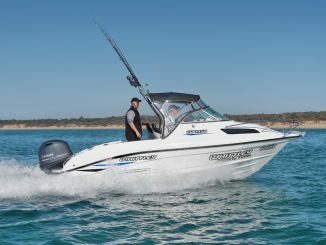 You can get more information at www.sportsmarine.com.au or you can Like ‘Sportsmarine Boat Centre – Bunbury’ for specials and dealer updates.